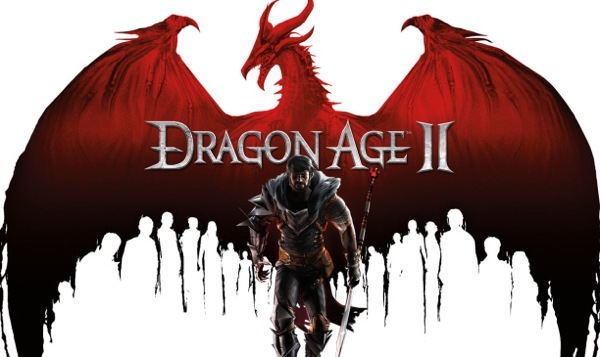 I picked up Bioware’s Dragon Age 2 with great delight this weekend. I was a huge fan of the previous game in the series, Dragon Age: Origins. I figured DA2 would be pretty great, as well. And, you know, it’s not bad, but this isn’t a review of the game itself. I want to talk about the male love interests for a moment. No, I want to rant about the male love interests for a moment. In Dragon Age 2, I’m perusing my options and they are bleak. 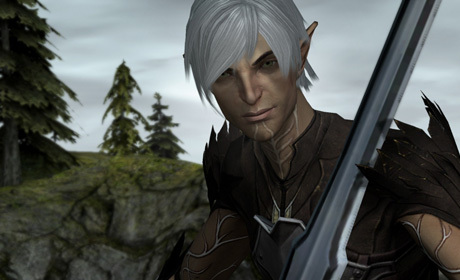 We have pale, tortured former slave Fenris who has a chip on his shoulder the size of Ferelden. He can’t stop going on and on and on about how mages should be locked up and can’t be trusted and, hello, my sister’s a mage and she’s standing right there! Rude, much? Also, he is so damaged that he dare not trust love (sob). Tortured, unfun Anders questions his fate. Then there’s the formerly amusing, used-to-be charming-in-Dragon Age:Awakenings mage Anders. They got rid of all that charm and amusement and gave him some angst and anger management issues instead because those are way sexier. The funny, kickass mage that in the previous game had a kitten named Ser Pounce-a-Lot that he kept in his backpack now moans about how he dare not get close to me, lest he break my heart (sob). I was complaining about this with some other people on io9.com when it finally hit me: Both of these male love interests are basically Edward Cullen. Okay, Bioware. Look, I get that Twilight made a zillion dollars and there are plenty of women who want the tortured hero type. If we are doomed to exist in the Twilightverse, can we at least get some Jacob up in here? There are lots of women who find the Edward type tedious beyond belief. Many of us are perfectly happy to have a strong, well-adjusted male in our midst. Can we get a smile? A joke? Anything other than the woe-is-me brigade? Yes, we can! Varric, the dwarf, is a total winner. He’s strong, amusing, interesting, capable, and fun to have around. He even gives the whiners a hard time about their self-involvement. Yeah, sure, he’s technically a thief, but it’s not like we haven’t winked at the law ourselves, right? Oh, there’s just one problem – we can’t get with him. We can get our cross-species on with Fenris the elvish font of bleak despair, but we can’t make time with Varric the cool, funny dwarf? 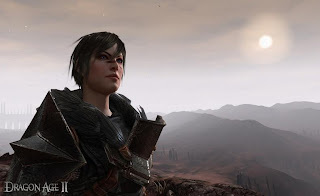 Marian Hawke: She will give you something to cry about. Into every love life some Edward must fall. I’m reasonably sure almost every female has fallen for the tortured dude we long to save at least once. However, my badass warrior Hawke has no interest in dealing with emo dudes. She’s no Bella Swan, tremblingly hoping to redeem some damaged moper through her obsessive love. Hawke would redeem his whining face with her giant hammer. In the expansion, I want to see at least one good old fashioned tough guy who’s fairly well-adjusted or at least cracks a smile now and then – and let us lure him into our beds. For now, I think I’m going to have to switch teams and go with Isabela the pirate captain. She looks like a lot of fun. I am sure that emo idiot Fenris cuts himself too. Someone needs to call him a waaaaahmbulance already- he rides the pine all time in my parties. What about that guy Sebastien? Can you romance him as a lady? Have him break his Chantry vows? I think that they don't let you romance Varric because he is the one telling the story. If you romanced him, presumably he'd be with you, instead of the dark Chantry room where he is being questioned. Which would break the storytelling in the game. Options as dude-Hawke aren't all that more varied than girl Hawke. I've seen dude-Hawke have romance dialogue with mopey Fenris, Merrill, and Isabela. Yeah, Sebastien was mentioned to me as an alternative. However, because he's DLC, it's a little bit of a slippery slope. I've got to purchase my Marion a real man, eh? He'd better be worth every penny, but he'll probably be just as emo and I'll catch him comparing angst with Fenris or having star-crossed love with Anders. Sebastian is nice to have around; he has a lovely accent. But I read on the DA wiki that although he is "romanceable" he is a chaste romance. He's pretty heavy into the Chantry and he won't be moving into your mansion like some of your other options. Darnit! Well, I guess it's like the song says: Money can't buy me love. I picked up the DLC anyway and you're totally right. Sebastian has a lovely accent and he IS more pleasant to have around than emo Fenris. Anders just made a joke, too! So, things are looking up a bit. I forgot for a bit that Sebs was DLC extra. I got it free for pre-ordering so it seemed natural he was around. Also, Isabela is a lot of fun, great banter in the party. 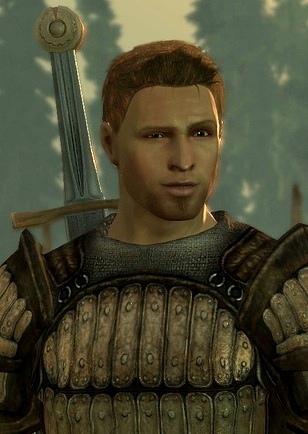 You are not alone in your love for Alistair. 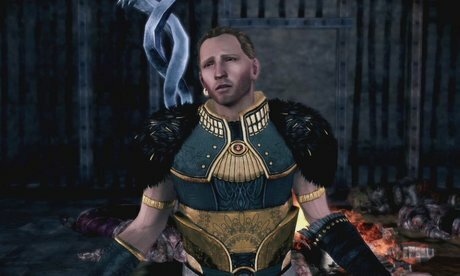 When I was searching for a good screenshot of him for this article, I was astounded at how much Alistair-worship there is out there. And how many R-rated pics there were from people who had used those 'true human body' mods. I had to look at a great many of them. For research, you understand. Yes. I reminisce of the first days of playing origins and how I said aloud to no one in particular.. GAWD can Alistair make a decision already?? It wasn't until I read he was partly based off the character Xander of my first teen anxed vampire obsession Buffy the Vampire Slayer that I fully embraced my love affair with my First Knight. *Notice the PS3 Trophy reference* Perhaps Anders is Edward incarnate. But if you actually read the twilight series you will recall the sullen Cullen is dynamite in the sack in the end! Not too shabby for a Mormon mom of three. At least that's something to look forward to.